For the movement associated with William F. Albright and also known as biblical archaeology, see Biblical archaeology school. For the interpretation of biblical archaeology in relation to biblical historicity, see Historicity of the Bible and List of artifacts in biblical archaeology, for the magazine see Biblical Archaeology Review. Biblical archaeology involves the recovery and scientific investigation of the material remains of past cultures that can illuminate the periods and descriptions in the Bible, be they from the Old Testament (Tanakh) or from the New Testament, as well as the history and cosmogony of the Judeo-Christian religions. The principal location of interest is what is known in the relevant religions as the Holy Land, which from a Western perspective is also called the Middle East. In contrast, the archaeology of the ancient Middle East simply deals with the Ancient Near East, or Middle East, without giving any especial consideration to whether its discoveries have any relationship with the Bible. The scientific techniques used are the same as those used in general archaeology, such as excavation and radiocarbon dating. In order to understand the significance of biblical archaeology it is first necessary to understand two basic concepts: archaeology as a scientific framework and the Bible as an object for research. Archaeology is a science, not in the Aristotelian sense of cognitio certa per causas but in the modern sense of systematic knowledge. Vicente Vilar expands on this point by stating that archaeology is both art and science: as an art it searches for the material remains of ancient civilizations and tries to reconstruct, as far as possible, the environment and the organizations of one or many historical epochs; as a relatively recent modern science, and as Benesch has said, it is a science that is barely 200 years old but that has, however, completely changed our ideas about the past. It might be thought that archaeology would have to disregard the information contained within religions and many philosophical systems. 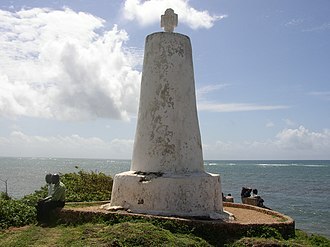 However, apart from the great deal of factual material that they provide such as places of worship, holy objects and other scientifically observable things, there are other aspects that are equally important for scientific archaeological investigation such as religious texts, rites, customs and traditions. Myths are commonly used by archaeologists and historians as clues to events or places that have become hidden in the background, a process that Rudolf Bultmann calls "demythification" – the most notable example being Homer’s poems and the mythical city of Troy. This contemporary perception of the myth, mainly developed by Bultmann, has encouraged scientists such as archaeologists to examine the areas indicated by the biblical tales. Biblical archaeology is the discipline occupied with the scientific investigation and recovery of the material remains of past cultures that can illuminate the times and descriptions of the Bible, a broad swathe of time between 2000 BC and 100 AD. Other authors prefer to talk about the "archaeology of Palestine" and to define the relevant territories as those to the east and west of the River Jordan. This indicates that "biblical archaeology" or that of Palestine is circumscribed by the territories that were the backdrop to the biblical stories. Biblical archaeology can shed light on the knowledge that we have regarding certain historical data described in the biblical stories such as governments, people, battles and cities. It allows us to provide some specific details reflected in the books of the bible for example the Siloam Tunnel, the Pool of Bethesda, Calvary and others that effectively relate to those described in the biblical stories. Biblical archaeology lends fundamental support to exegetical studies. The geographical area that circumscribes the area of interest for biblical archaeology is obviously the biblical lands, also known as the "Holy Land". There are many points of view regarding the exact extent of this area, however, biblical archaeology specifically concentrates on the Land of Israel, Palestine and Jordan, the area called the southern Levant. Many researchers are also interested in other areas that are mentioned in the biblical tales and which have a great importance for their connecting thread: Egypt, Syria and Mesopotamia which are of interest to scientists interested in the Tanakh. Asia Minor, Macedonia, Greece and Rome have greater connections with the stories from the New Testament. The period is understood to run from the 9th millennium BC, which corresponds to the earliest dated Neolithic remains of Jericho, to 700 AD, which marks the first invasions by Muslim armies. 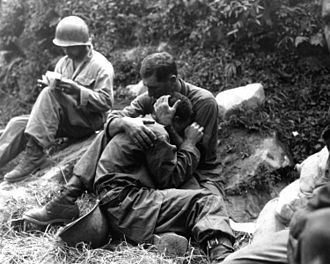 This time period is considered by some authorities to be too wide and controversial. A second narrower period has been described that is more closely defined by the biblical stories: from the middle Bronze Age, that is from 2000 BC, which according to Biblical chronology corresponds with the time of the Patriarchs (Abraham, Isaac and Jacob) until the end of the 1st century AD, with the death of the last apostle John the Evangelist and the end of the so-called Apostolic Church. 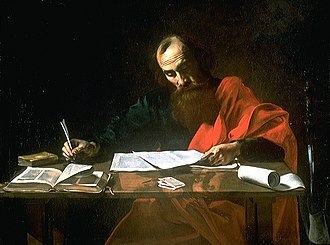 The term Apostolic Church is taken to mean the historical period when Jesus's apostles were alive, including Paul of Tarsus. This period ends with the death of John the Evangelist, the exact date of his death is not known, but it is presumed to be around 110 AD. However, some scholars consider that the authors of the Fourth Gospel and the Book of Revelation may have been John’s disciples. The following list of periods for Syro-Palestinian archaeology is based on the table provided in Biblical Archaeology: A Very Short Introduction, pp. 33–34 up to the end of the Iron Age, and from the definitions provided by the Mercer Dictionary of the Bible, p. 55, for later periods. The study of biblical archaeology started at the same time as general archaeology and obviously its development relates to the discovery of highly important ancient artifacts. Ancient: Although archaeology can be considered to be a modern science it should be recognized that many historical authors have left valuable documents that even today are essential reading for students of biblical archaeology. The most important historical sources include Josephus, Origen, Eusebius and the Diary of Egeria. Egeria or Aetheria, was a Spanish woman who made a pilgrimage to the Holy Land between 381 and 384. Her diary of the journey, which was a surprisingly adventurous journey for a woman of that time, is a source of study and research even today. Before the British Mandate in Palestine: The first archaeological explorations started in the 19th century initially by Europeans. There were many renowned archaeologists working at this time but one of the best known was Edward Robinson who discovered a number of ancient cities. The Palestine Exploration Fund was created in 1865 with Queen Victoria as its patron. Large investigations were carried out around the Temple in Jerusalem in 1867 by Charles Warren and Charles William Wilson, for whom Jerusalem’s "Wilson’s Arch" is named. The American Palestine Exploration Society was founded in 1870. In the same year a young French archaeologist, Charles Clermont-Ganneau, arrived in the Holy Land in order to study two notable inscriptions: the Mesha Stele in Jordan and inscriptions in the Temple of Jerusalem. Another personality entered the scene in 1890, Sir William Matthew Flinders Petrie, who has become known as the "father of Palestine archaeology". In Tell-el-Hesi, Petrie laid down the basis for methodical exploration by giving a great importance to the analysis of ceramics as archaeological markers. In effect, the recovered objects or fragments serve to fix the chronology with a degree of precision, as pottery was made in different ways and with specific characteristics during each epoch throughout history. In 1889 the Dominican Order opened the French Biblical and Archaeological School of Jerusalem, which would become world-renowned in its field. Such authorities as M-J. Lagrange and L. H. Vincent stand out among the early archaeologists at the school. In 1898, the Deutsche Orient-Gesellschaft (German Oriental Society) was founded in Berlin, a number of its excavations were subsequently funded by Emperor William II of Germany. Many other similar organizations were founded at this time with the objective of furthering this nascent discipline, although the investigations of this epoch had the sole objective of proving the veracity of the biblical stories. During the British Mandate in Palestine (1922-1948): The investigation and exploration of the Holy Land increased considerably during this time and was dominated by the genius of William Foxwell Albright, C. S. Fischer, the Jesuits, the Dominicans and many others. 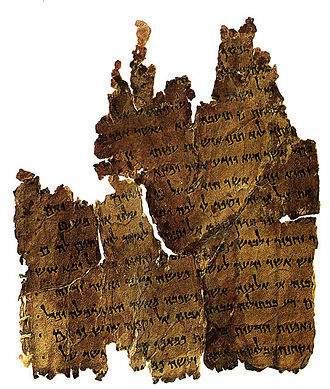 This era of great advances and activity closed with a flourish: the discovery of the Dead Sea Scrolls at Qumran in 1947 and its subsequent excavation, which would in large part be directed by the Frenchman Roland de Vaux. After the British Mandate: 1948 marked the start of a new social and political era for the Holy Land with the foundation of the State of Israel and the entrance on the scene of the Israeli archaeologists. Initially their excavations were limited to the territory of the state, but after the Six-Day War they extended into the occupied territories of the West Bank. An important figure in the archaeology of this period was Kathleen Kenyon, who directed the excavations of Jericho and the Ophel of Jerusalem. Crystal Bennett led the excavations at Petra and Amman’s citadel, Jabal al-Qal'a. The archaeological museums of the Franciscans and the Dominicans in Jerusalem are particularly notable. Biblical archaeology today: Twenty-first century biblical archaeology is often conducted by international teams sponsored by universities and government institutions such as the Israel Antiquities Authority. Volunteers are recruited to participate in excavations conducted by a staff of professionals. Practitioners are making increasing efforts to relate the results of one excavation to others nearby in an attempt to create an ever-widening and increasingly detailed overview of the ancient history and culture of each region. Recent rapid advances in technology have facilitated more scientifically precise measurements in dozens of related fields as well as more timely and more broadly disseminated reports. Biblical archaeology is the subject of ongoing debate. One of the sources of greatest dispute is the period when kings ruled Israel and more generally the historicity of the Bible. It is possible to define two loose schools of thought regarding these areas: biblical minimalism and maximalism, depending on whether the Bible is considered to be a non-historical, religious document or not. The two schools are not separate units but form a continuum, making it difficult to define different camps and limits. However, it is possible to define points of difference, although these differences seem to be decreasing over time. First depiction of Jehu on the Black Obelisk. He is seen prostrating at the feet of King Shalmaneser III. A model reconstruction of the Jerusalem of the 1st century AD, made possible thanks to the findings of Biblical Archaeology. Biblical archaeology has also been the target of several celebrated forgeries, which have been perpetrated for a variety of reasons. One of the most celebrated is that of the James Ossuary, when information came to light in 2002 regarding the discovery of an ossuary, with an inscription that said "Jacob, son of Joseph and brother of Jesus". In reality the artifact had been discovered twenty years before, after which it had exchanged hands a number of times and the inscription had been added. This was discovered because it did not correspond to the pattern of the epoch from which it dated. The objects in the following list generally come from private collections and were often purchased in antiques markets. Their authenticity is highly controversial and in some cases they have been proved to be fakes. There have been a number of claims regarding the Ark’s current location. The Ethiopian Orthodox Church claims that it holds the Ark in Axum, Ethiopia. Local tradition claims that it was brought to Ethiopia by Menelik I with divine assistance, while a forgery was left in the Temple in Jerusalem. 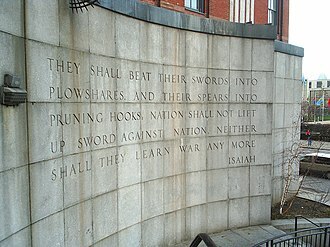 The Jehoash Inscription, which describes repairs to the temple in Jerusalem. It is suspected that the inscription has been falsified onto authentic ancient stones. Various ostracas mentioning the temple or biblical names. A stone candelabra with seven arms, decorated with a menorah from the temple. A stone seal with gold borders that was attributed to King Manasseh of Judah. A quartz plate with an inscription in the ancient Egyptian language stating that King Shishak had captured the ancient city of Megiddo. An ivory pomegranate with the inscription "property of the priests of the Temple" carved on an authentic piece of antique ivory. 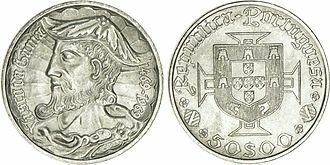 Numerous bullas, including some that mention biblical figures such as the scribe Baruch ben Neriah and the prophets Isaiah and Ezekiel. 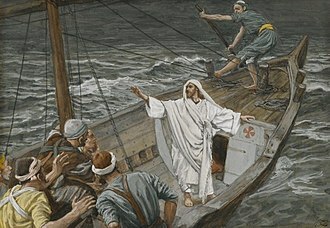 Various groups have claimed to have found Noah’s Ark. Many scholars consider that these findings belong to pseudoarcheology. An Italian creationist group called The Narkas is just one of the many groups that claim to know the exact location of the Ark’s remains on the summit of Mount Ararat, on the border between Turkey and Armenia. Photos of the site can be seen at the Narkas website. In 2004 an expedition investigated a ridge 19 km from the summit of Mount Ararat, which is believed to be an alternative landing site for the Ark. Samples were submitted to the Geological and Nuclear Sciences Crown Research Institute in Wellington, New Zealand for testing. However, geologists at the government institute concluded that the samples were volcanic rock and not petrified wood. Critics insist that the linen cloth contains a painting of Jesus made in the Middle Ages. Others maintain that the image was formed by an energetic process that darkened the fibres of the shroud at the moment of resurrection. Radiocarbon dating of some sample material taken from the shroud has been dated to the Middle Ages, but some researchers claim that the samples were taken from a patch that had been re-woven into the shroud's border area during that time period. A cloth with the face of a man, said to be Jesus by believers, imprinted on it. Believers think that it was the cloth used by Veronica to clean Jesus's face on the Via Dolorosa on the way to Calvary. There are at least six images in existence that bear a marked resemblance to each other and which all claim to be the original Veil. The majority of excavations and investigations carried out in the area where the biblical narratives are set mainly have the objective of casting light on the historical, cultural, economic and religious background to the texts, therefore their main objective is not usually proving the veracity of these stories. However, there are some groups that take a more fundamentalist approach and which organize archaeological campaigns with the intention of finding proof that the Bible is factual and that its narratives should be understood as historical events. This is not the official position of the Catholic Church. Archaeological investigations carried out with scientific methods can offer useful data in fixing a chronology that helps to order the biblical stories. In certain cases these investigations can find the place where these narratives took place. In other cases they can confirm the veracity of the stories. 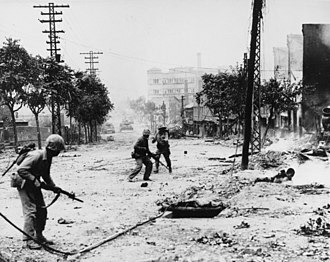 However, in other matters they can question events that have been taken as historical fact, providing arguments that show that certain stories are not historical narratives but belong to a different narrative genre. In 1943, Pope Pius XII recommended that interpretations of the Scripture take archaeological findings into account in order to discern the literary genres that the Scriptures used. Since this time archaeology has been considered to provide valuable assistance and as an indispensable tool of the biblical sciences. [...]"the purpose of biblical archaeology is the clarification and illumination of the biblical text and content through archaeological investigation of the biblical world." —  written by J.K. Eakins in a 1977 essay published in Benchmarks in Time and Culture and quoted in his essay "Archaeology and the Bible, An Introduction". Archaeologist William G. Dever contributed to the article on "Archaeology" in The Anchor Bible Dictionary. In this article he reiterates his perceptions of the negative effects of the close relationship that has existed between Syro-Palestinian archaeology and biblical archaeology, which has caused the archaeologists working in this field, particularly the American archaeologists, to resist adoption of the new methods of "processual archaeology". In addition he considers that: "Underlying much scepticism in our own field [referring to the adaptation of the concepts and methods of a "new archaeology", one suspects the assumption (although unexpressed or even unconscious) that ancient Palestine, especially Israel during the biblical period, was unique, in some "superhistorical" way that was not governed by the normal principles of cultural evolution". Dever found that Syro-Palestinian archaeology had been treated in American institutions as a sub discipline of bible studies, where it was expected that American archaeologists would try to "provide valid historical evidence of episodes from the biblical tradition". According to Dever "the most naïve [idea regarding Syro-Palestinian archaeology] is that the reason and purpose of "biblical archaeology" (and, by extrapolation, of Syro-Palestinian archaeology) is simply to elucidate facts regarding the Bible and the Holy Land". Archaeology certainly doesn't prove literal readings of the Bible...It calls them into question, and that's what bothers some people. Most people really think that archaeology is out there to prove the Bible. No archaeologist thinks so. [...] From the beginnings of what we call biblical archaeology, perhaps 150 years ago, scholars, mostly western scholars, have attempted to use archaeological data to prove the Bible. And for a long time it was thought to work. William Albright, the great father of our discipline, often spoke of the "archaeological revolution." Well, the revolution has come but not in the way that Albright thought. The truth of the matter today is that archaeology raises more questions about the historicity of the Hebrew Bible and even the New Testament than it provides answers, and that's very disturbing to some people. Professor Finkelstein told the Jerusalem Post that Jewish archaeologists have found no historical or archaeological evidence to back the biblical narrative on the Exodus, the Jews' wandering in Sinai or Joshua's conquest of Canaan. 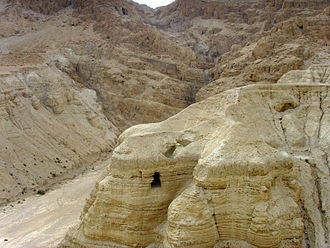 On the alleged Temple of Solomon, Finkelstein said that there is no archaeological evidence to prove it really existed. Professor Yoni Mizrahi, an independent archaeologist, agreed with Israel Finkelstein. Really, it’s a myth,... This is my career as an archaeologist. I should tell them the truth. If the people are upset, that is not my problem. [T]he study of archaeology has helped illuminate the Bible by casting light on its historical and cultural location. With increasing clarity, the setting of the Bible appears more vividly within the framework of general history.... by fitting biblical history, persons, and events into general history, archaeology has demonstrated the validity of many biblical references and data. It has continued to cast light, whether implicitly or explicitly, on many of the Bible's customs, cultures, and settings during various periods of history. On the other hand, archaeology has also given rise to some real problems with regard to its findings. Thus, its work is an ongoing one that cannot be foreclosed too quickly or used merely as a confirming device. This is not to say that archaeology is a cure-all for all the challenges brought to the text--it is not! There are some monstrous problems that remain--some created by the archaeological data itself. But since we have seen so many specific challenges over the years yield to such specific data in favor of the text, a presumption tends to build that we should go with the text until definite contrary information is available. This methodology that says that the text is innocent until proven guilty is not only recommended as a good procedure for American jurisprudence, but it is recommended in the area of examining the claims of the Scripture as well. 'rediscovered' Petra on August 22, 1812. Al Khazneh Al Khazneh Johann Ludwig Burckhardt Al Khazneh ("The Treasury"; Arabic: الخزنة‎) is one of the most elaborate buildings in the ancient Jordanian city of Petra. 1841 Survey N/a Edward Robinson Robinson's Biblical Researches in Palestine, the Sinai, Petrae and Adjacent Regions, based on his survey of the Near East conducted over several years, proposed biblical names for modern sites. 1871–77 Survey N/a Charles Warren The Survey of Western Palestine, published by the Palestine Exploration Fund, reflected Warren's detailed field surveys in Palestine and especially the Temple Mount in Jerusalem. Major discoveries included the foundation stones of Herod's Temple, the first Iron Age Hebrew inscriptions (jar handles with LMLK seals), and water shafts under the City of David. 1890 Tell el-Hesi Eglon Sir William Matthew Flinders Petrie The site was believed at the time to be the biblical Lachish, but is now commonly identified with Eglon. Petrie noticed strata exposed by waterflow adjacent to the site, and popularized details of pottery groups excavated therefrom. This marked the introduction of scientific stratigraphy to Palestinian archaeology. 1902–3, 1907–9 Gezer Gezer R.A.S. Macalister The Gezer calendar was discovered on the surface during this excavation. 1930–6 excavated Tell es-Sultan Battle of Jericho John Garstang Suggested that remains of the upper wall was the wall described in the Bible, and dated to around 1400 BCE. 1952–1958 excavated Tell es-Sultan Battle of Jericho Kathleen Kenyon Site very much older than putative dates of Conquest of Canaan. ^ Kurt Benesch: Past to discover cited by J.M. Vernet in his "Curso Básico de Arqueología Bíblica", Teologado Salesiano Internacional de Ratisbonne, Jerusalén, 2001 (in Italian). ^ Pietro Kaswalder, "L`archeologia biblica e le origini di Israele" (tr. en. Biblical archaeology and the origins of Israel), in Rivista Biblica 41, pp. 171-188, 1993. ^ Cline, E.H. (2009). "3". Biblical Archaeology: A Very Short Introduction (1 ed.). New York: Oxford University Press. pp. 33–34. ISBN 978-0-19-534263-5. ^ Mills and Bullard, 1990, p. 55. ^ Not to be confused with Charles Thomson Rees Wilson, the Scottish physicist and Nobel Prize winner. ^ Forgers "tried to rewrite biblical history", Conal Urquhart, The Guardian, Friday 31 December 2004. ^ NZ man’s hunt for Noah’s Ark hits a rocky patch, The New Zealand Herald, 10 November 2004. ^ Shafer Parker Jr. (May 6, 2013). "Science Shines New Light on Shroud of Turin's Age". Ncregister.com. Retrieved October 28, 2016. ^ R.N Rogers, "Studies on the Radiocarbon Sample from the Shroud of Turin", Thermochimica Acta, Vol. 425, 2005, pp. 189–194, article; S. Benford, J. Marino, "Discrepancies in the radiocarbon dating area of the Turin shroud", Chemistry Today, vol 26 n 4 / July–August 2008, p. 4-12, article Archived 2012-03-04 at the Wayback Machine; Emmanuel Poulle, ″Les sources de l'histoire du linceul de Turin. Revue critique″, Revue d'Histoire Ecclésiastique, 2009/3-4, Abstract Archived 2011-07-10 at the Wayback Machine; G. Fanti, F. Crosilla, M. Riani, A.C. Atkinson, "A Robust statistical analysis of the 1988 Turin Shroud radiocarbon analysis", Proceedings of the IWSAI, ENEA, 2010. ^ Pius XII (30 September 1943). "Divino Afflante Spiritu Encyclical Of Pope Pius Xi On Promoting Biblical Studies". Retrieved 6 February 2013. ^ Dever, William G. (March–April 2006). "The Western Cultural Tradition Is at Risk". Biblical Archaeology Review. 32 (2): 26 & 76. ^ Dever, William G. (January 2003). 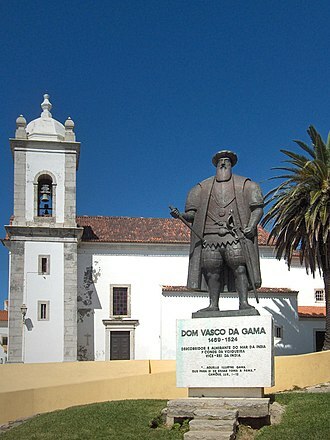 "Contra Davies". The Bible and Interpretation. Archived from the original on 2007-02-02. Retrieved 2007-02-12. ^ "Deconstructing the walls of Jericho / By Ze'ev Herzog". lib1.library.cornell.edu. 29 October 1999. Archived from the original on 10 November 2001. Retrieved 9 February 2019. ^ a b "Senior Israeli archaeologist casts doubt on Jewish heritage of Jerusalem – Middle East Monitor". 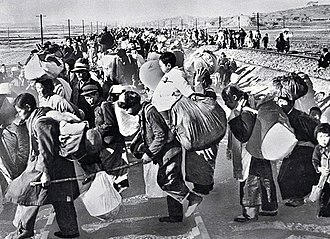 www.middleeastmonitor.com. Retrieved 28 October 2016. ^ a b Kaiser, 2001, p. 97-108. ^ Kaiser, 2001, p. 98. ^ Kaiser, 2001, p. 108. ^ Geoffrey W. Bromiley (13 February 1995). International Standard Bible Encyclopedia: A-D. Wm. B. Eerdmans Publishing. pp. 275–. ISBN 978-0-8028-3781-3. Retrieved 9 July 2011. 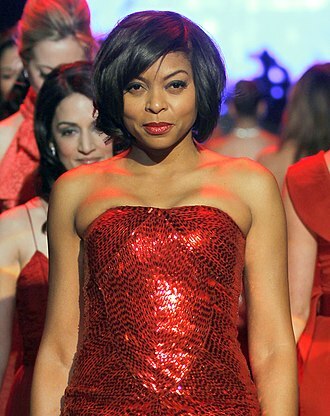 ^ Miriam C. Davis (2008). Dame Kathleen Kenyon: digging up the Holy Land. Left Coast Press. pp. 101–. ISBN 978-1-59874-326-5. Retrieved 9 July 2011. The Anchor Bible Dictionary, "Archaeology", by William Dever. Ashmore, W. and Sharer, R. J., Discovering Our Past: A Brief Introduction to Archaeology (New York: McGraw Hill, 2013). ISBN 0-7674-1196-X. This has also been used as a source. Dever, William G. (2002). What Did the Biblical Writers Know and When Did They Know It?. Wm. B. Eerdmans Publishing Company. ISBN 0-8028-2126-X. Finkelstein, Israel; Silberman, Neil Asher (2001), The Bible Unearthed: Archaeology's New Vision of Ancient Israel and the Origin of Its Sacred Texts, New York: Simon and Schuster, ISBN 0-7432-2338-1 . Halevi, Masha, "Between Faith and Science: Franciscan Archaeology in the Service of the Holy Places", Middle Eastern Studies, Volume 48, Issue 2, 2012, pp. 249–267. Kafel, A. (October 29, 1999). "Deconstructing the walls of Jericho". Ha'aretz. .
Mykytiuk, Lawrence J. (2009),"Corrections and Updates to 'Identifying Biblical Persons in Northwest Semitic Inscriptions of 1200-539 B.C.E.,' " Maarav 16/1, pp. 49–132. Herbermann, Charles, ed. (1913). "Christian Archaeology" . Catholic Encyclopedia. New York: Robert Appleton Company. The Peshitta is the standard version of the Bible for churches in the Syriac tradition. 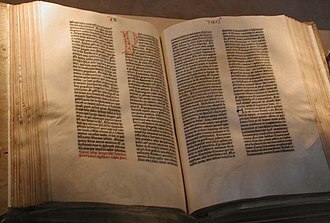 This New Testament, originally excluding certain disputed books, had become a standard by the early 5th century, the five excluded books were added in the Harklean Version of Thomas of Harqel. However, the 1905 United Bible Society Peshitta used new editions prepared by the Irish Syriacist John Gwynn for the missing books, the name Peshitta is derived from the Syriac mappaqtâ pšîṭtâ, literally meaning simple version. However, it is possible to translate pšîṭtâ as common, or straight. Syriac is a dialect, or group of dialects, of Eastern Aramaic and it is written in the Syriac alphabet, and is transliterated into the Latin script in a number of ways, Peshittâ, Pshitta, Pšittâ, Fshitto. All of these are acceptable, but Peshitta is the most conventional spelling in English, there is no full and clear knowledge of the circumstances under which the Peshitta was produced and came into circulation. Whereas the authorship of the Latin Vulgate has never been in dispute, almost every assertion regarding the authorship of the Peshitta and its time, the chief ground of analogy between the Vulgate and the Peshitta is that both came into existence as the result of a revision. This, has strenuously denied, but since Dr. The very designation, has given rise to dispute and it has been applied to the Syriac as the version in common use, and regarded as equivalent to the Greek koiné and the Latin Vulgate. The word itself is a form, meaning simple, as in easy to be understood. It seems to have used to distinguish the version from others which are encumbered with marks. However, the term as a designation of the version has not been found in any Syriac author earlier than the 9th or 10th century, as regards the Old Testament, the antiquity of the version is admitted on all hands. The tradition, that part of it was translated from Hebrew into Syriac for the benefit of Hiram in the days of Solomon is surely a myth. That a translation was made by a priest named Assa, or Ezra and that the translation of the Old Testament and New Testament was made in connection with the visit of Thaddaeus to Abgar at Edessa belongs to unreliable tradition. Mark has even been credited in ancient Syriac tradition with translating his own Gospel, F.
Partial Bible translations into languages of the English people can be traced back to the late 7th century, including translations into Old and Middle English. More than 450 translations into English have been written, the New Revised Standard Version is the version most commonly preferred by biblical scholars. 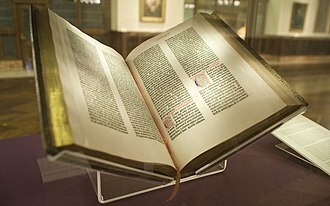 Although John Wycliffe is often credited with the first translation of the Bible into English, there were, in fact, the English Bible was first translated from the Latin Vulgate into Old English by a few select monks and scholars. Such translations were generally in the form of prose or as interlinear glosses, very few complete translations existed during that time. Rather, most of the books of the Bible existed separately and were read as individual texts, the sense of the Bible as history that often exists today did not exist at that time. Instead, a rendering of the Bible was more common. Toward the end of the 7th century, the Venerable Bede began a translation of scripture into Old English, aldhelm translated the complete Book of Psalms and large portions of other scriptures into Old English. This is the oldest extant translation of the Gospels into the English language, the Wessex Gospels are a full translation of the four gospels into a West Saxon dialect of Old English. Produced in approximately 990, they are the first translation of all four gospels into English without the Latin text, in the 11th century, Abbot Ælfric translated much of the Old Testament into Old English. The Ormulum is in Middle English of the 12th century, like its Old English precursor from Ælfric, an Abbot of Eynsham, it includes very little Biblical text, and focuses more on personal commentary. This style was adopted by many of the original English translators, for example, the story of the Wedding at Cana is almost 800 lines long, but fewer than 40 lines are the actual translation of the text. An unusual characteristic is that the translation mimics Latin verse, and so is similar to the known and appreciated 14th-century English poem. Richard Rolle wrote an English Psalter, many religious works are attributed to Rolle, but it has been questioned how many are genuinely from his hand. The Septuagint is a Koine Greek translation of an Hebraic textual tradition that included certain texts which were included in the canonical Hebrew Bible and other related texts which were not. As the primary Greek translation of the Old Testament, it is called the Greek Old Testament. This translation is quoted a number of times in the New Testament, particularly in Pauline epistles, the title and its Roman numeral LXX refer to the legendary seventy Jewish scholars who solely translated the Five Books of Moses into Koine Greek as early as the 3rd century BCE. 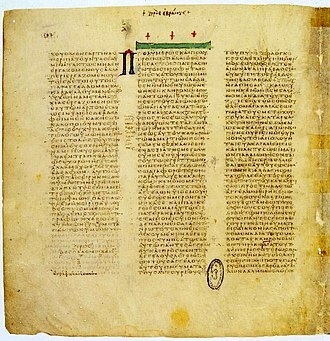 Separated from the Hebrew canon of the Jewish Bible in Rabbinic Judaism, the traditional story is that Ptolemy II sponsored the translation of the Torah. The Septuagint should not be confused with the seven or more other Greek versions of the Old Testament, of these, the most important are those by Aquila and Theodotion. However, it was not until the time of Augustine of Hippo that the Greek translation of the Jewish scriptures came to be called by the Latin term Septuaginta. This narrative is found in the pseudepigraphic Letter of Aristeas to his brother Philocrates, the story is found in the Tractate Megillah of the Babylonian Talmud, King Ptolemy once gathered 72 Elders. He placed them in 72 chambers, each of them in a separate one and he entered each ones room and said, Write for me the Torah of Moshe, your teacher. God put it in the heart of one to translate identically as all the others did. 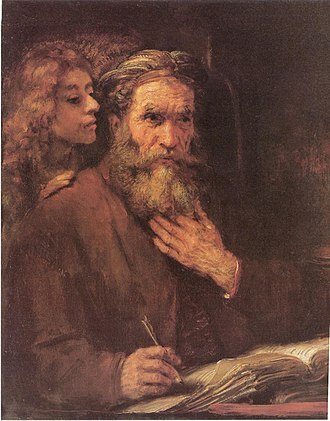 Philo of Alexandria, who relied extensively on the Septuagint, says that the number of scholars was chosen by selecting six scholars from each of the tribes of Israel. After the Torah, other books were translated over the two to three centuries. It is not altogether clear which was translated when, or where, some may even have been translated twice, into different versions, the quality and style of the different translators varied considerably from book to book, from the literal to paraphrasing to interpretative. 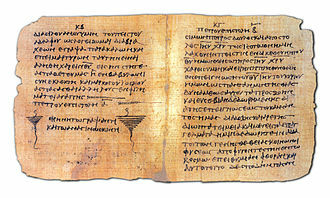 The translation of the Septuagint itself began in the 3rd century BCE and was completed by 132 BCE, initially in Alexandria, the Septuagint is the basis for the Old Latin, Syriac, Old Armenian, Old Georgian and Coptic versions of the Christian Old Testament. Textual criticism is a branch of textual scholarship and literary criticism that is concerned with the identification of textual variants in either manuscripts or printed books. Ancient scribes made alterations when copying manuscripts by hand, given a manuscript copy, several or many copies, but not the original document, the textual critic might seek to reconstruct the original text as closely as possible. The same processes can be used to attempt to reconstruct intermediate versions, or recensions, the ultimate objective of the textual critics work is the production of a critical edition containing a scholarly curated text. There are three approaches to textual criticism, eclecticism and copy-text editing. Techniques from the discipline of cladistics are currently being used to determine the relationships between manuscripts. Textual criticism has been practiced for two thousand years. Early textual critics were concerned with preserving the works of antiquity, many ancient works, such as the Bible and the Greek tragedies, survive in hundreds of copies, and the relationship of each copy to the original may be unclear. Textual scholars have debated for centuries which sources are most closely derived from the original, hence which readings in those sources are correct. Although biblical books that are letters, like Greek plays, presumably had one original, interest in applying textual criticism to the Quran has developed after the discovery of the Sanaa manuscripts in 1972, which possibly date back to the 7–8th centuries. However, the application of textual criticism to non-religious works does not antedate the invention of printing, while Christianity has been relatively receptive to textual criticism, application of it to the Jewish Torah and the Quran is, to the devout, taboo. The business of textual criticism is to produce a text as close as possible to the original, Maas comments further that A dictation revised by the author must be regarded as equivalent to an autograph manuscript. The lack of autograph manuscripts applies to many cultures other than Greek, in such a situation, a key objective becomes the identification of the first exemplar before any split in the tradition. The Bible has been translated into many languages from the biblical languages of Hebrew and Greek. As of September 2016 the full Bible has been translated into 636 languages, thus at least some portion of the Bible has been translated into 3,223 languages. The Latin Vulgate was dominant in Western Christianity through the Middle Ages, since then, the Bible has been translated into many more languages. English Bible translations have a rich and varied history of more than a millennium, the Tanakh was mainly written in Biblical Hebrew, with some portions in Biblical Aramaic. From the 6th century to the 10th century, Jewish scholars, today known as Masoretes, a series of highly similar texts eventually emerged, and any of these texts are known as Masoretic Texts. The Masoretes added points to the text, since the original text only contained consonant letters. This sometimes required the selection of an interpretation, since some words differ only in their meaning can vary in accordance with the vowels chosen. In antiquity, variant Hebrew readings existed, some of which have survived in the Samaritan Pentateuch and other ancient fragments, the New Testament was written in Koine Greek. Attempts to reconstruct the text are called critical editions. Karl Lachmann based his edition of 1831 on manuscripts dating from the 4th century and earlier. However, it has not been proven that these manuscripts are in fact more reliable than the Textus Receptus. The autographs, the Greek manuscripts written by the authors, have not survived. 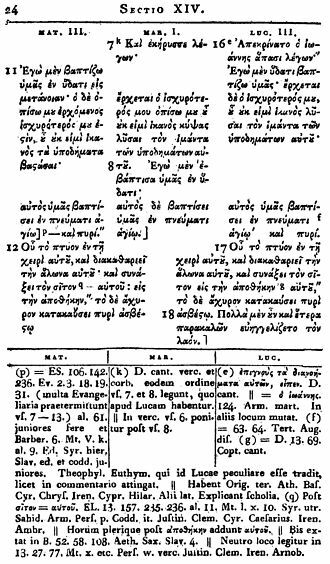 Scholars surmise the original Greek text from the versions that do survive, the three main textual traditions of the Greek New Testament are sometimes called the Alexandrian text-type, the Byzantine text-type, and the Western text-type. Together they comprise most of the ancient manuscripts, most variants among the manuscripts are minor, such as alternative spelling, alternative word order, the presence or absence of an optional definite article, and so on. Occasionally, a major variant happens when a portion of a text was missing, examples of major variants are the endings of Mark, the Pericope Adulteræ, the Comma Johanneum, and the Western version of Acts. The question of the internal consistency of the Bible concerns the coherence and textual integrity of the biblical scriptures. 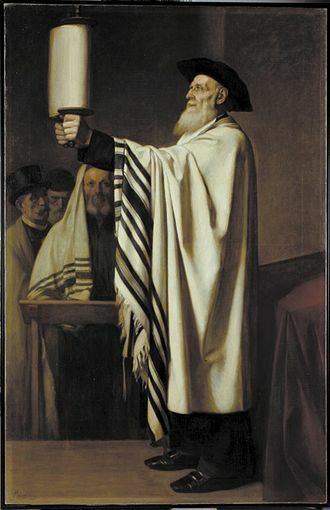 Disputes regarding biblical consistency have a long history, on the subject of the Jewish text, B. Barry Levy writes about the Torah that the integrity of every biblical book should be extremely important to those interested in either the Hebrew Bible or classical Jewish thought. However, the modern writer Joshua Golding states that though it contains inconsistencies. Similarly, Catholic writers have argued that If we believe the Scriptures are divinely inspired, one response to this kind of criticism is to argue that no inconsistencies exist. Barton states that this is not the Bible that we have in fact got and he points out that Judaism understands that texts may sometimes be in dialogue with each other and something positive may emerge from a kind of creative tension. So, for example, Paul said that he opposed Peter because he felt that Peter was clearly in the wrong, helms notes that Jeremiah condemned the entire religious establishment, that the prophets and priests were frauds, every one of them. Luke felt the need to write another gospel even though other writers had already drawn up their own account of events, Luke felt that Marks gospel was filled with errors and edited it freely, even the words of the dying Christ were not left unaltered. 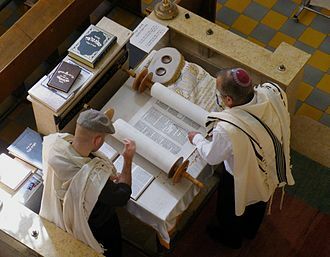 Jewish scholars divide the Hebrew Bible into the Torah, the Prophets, the Torah is viewed by some as the literal word of God, dictated to Moses. From the perspective of the 12th century Jewish scholar Maimonides, The Torah that we have today is the one dictated to Moses by God. However, In the broadest sense, the Scriptures taken as a whole, many modern Jewish scholars have an accommodating view of the nature of the Torah, not necessarily viewing it as strictly internally consistent. Ancient to Reformation This tripartite division is not found in the mainstream Christian Old Testament, justin Martyr, a 2nd-century Christian writer, declared the Septuagint—the Greek translation of the Hebrew Bible generally preferred in the early Church—to be completely free of errors. Thomas Aquinas wrote that, The author of Holy Scripture is God, the Westminster Confession of Faith asserts that the Bibles authority depends wholly upon God, the Author thereof, and therefore it is to be received, because it is the Word of God. 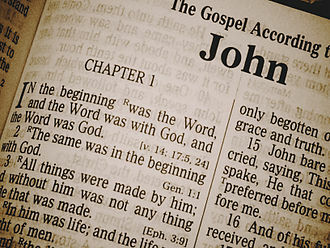 Some Christian groups, such as the Roman Catholic and Eastern Orthodox Churches follow the Jewish practice of describing certain books as apocrypha, following the doctrine of divine inspiration, assertions that the Bible contains inconsistencies contradicts Martin Luthers statement that God cannot lie. Luther accepted that mistakes and inconsistencies existed, but concluded that they did not necessarily undermine the truth of the Gospel, Modern Modern Christian approaches to biblical consistency are reminiscent of the split between Luther and Osiander, and can be broadly divided between inerrancy and infallibility. The theme of tahrif was first explored in the writings of Ibn Hazm and he argued that the falsification of the Torah could have taken place while there existed only one copy kept by the Aaronic priesthood of the Temple in Jerusalem. 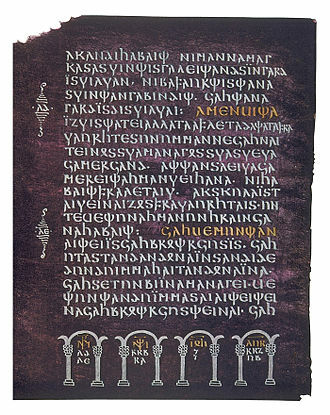 A portion of the Leningrad Codex. Although the Hebrew Bible is the result of a developmental process, canonical criticism focuses on the final form of the text.